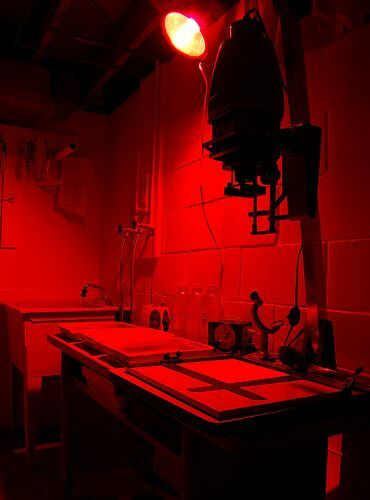 Special Offer on Darkroom Rental! LaPete Labs is offering a 10% STCF discount on B&W darkroom rentals from September 15–30, 2017! Never processed/printed your own photos, or feeling reaallly rusty? Sign up with a friend or two for a really fun shared learning experience! Master printer and all-around congenial guy Bill LaPete will be on hand to help guide you through every step of the way! Our 10% Festival discount just sweetens the deal a bit! Just indicate your interest using the form below and we'll send you a discount code. You then contact the lab to schedule your rental time, and provide the code to receive the discount. We won't use your contact info for anything else -- we won't even keep it -- promise! Thank you! You'll receive an email soon with additional info on LaPete Labs and a discount code to use on darkroom rental from Sept 15 - 30, 2017!